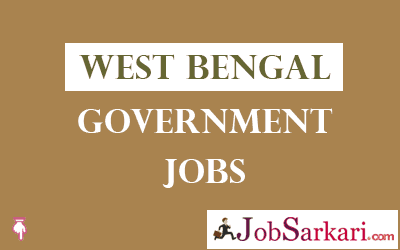 West Bengal Government Jobs page will help you to find latest govt jobs by WB state govt. This is the Page where you can get the Recruitment Notifications for all types of West Bengal Govt Jobs. Here, we are providing the complete and Best information regarding all types of Government Sector Jobs in West Bengal State and West Bengal PSC jobs also. We are providing the complete and best information regarding all kinds of govt jobs in Tripura with latest Notifications. Find here list of all govt jobs in West Bengal. The government of West Bengal will provide the huge amount of job vacancies for eligible candidates, so that interested candidate can get placed in West Bengal govt sector by applying online.The recruitment notifications are based according to the number of posts available for particular positions. West Bengal state government has different departments like agriculture, police, railway, defense, banking, teaching, research & development, pharmaceutical etc. We have given a table below where all the current govt job vacancies are listed with some useful information like Last Date, Post Name, No of Vacancies and Eligibility. If you are looking for detailed information like How to apply instructions, Notification attachment, useful links for applying, age limit and other then click on the name of specific job post. Now if you find this West Bengal government jobs page useful then bookmark this page by pressing CTRL+D or keep visiting Jobsarkari.com regularly.